Baby Girl's Headbands Chiffon Hair Bow (12 pack) Just $9.99! You are here: Home / Great Deals / Amazon Deals / Baby Girl’s Headbands Chiffon Hair Bow (12 pack) Just $9.99! 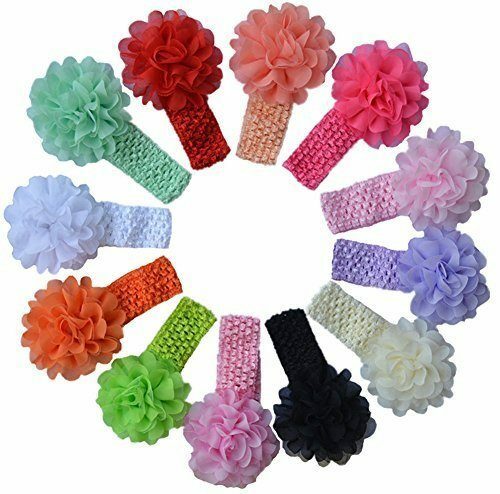 Baby Girl’s Headbands Chiffon Hair Bow (12 pack) Just $9.99! Head over to Amazon and get Baby Girl’s Headbands Chiffon Hair Bow (12 pack) for just $9.99! Shipping is $1.50. That’s like paying just $0.96 per headband! Flower Size: 4 inch/10cm big band: 1.7 inch width, 11 inch girth, good elasticity.